Underground rap anywhere presents a kind of glass ceiling; this limitation is especially clear in Canada. 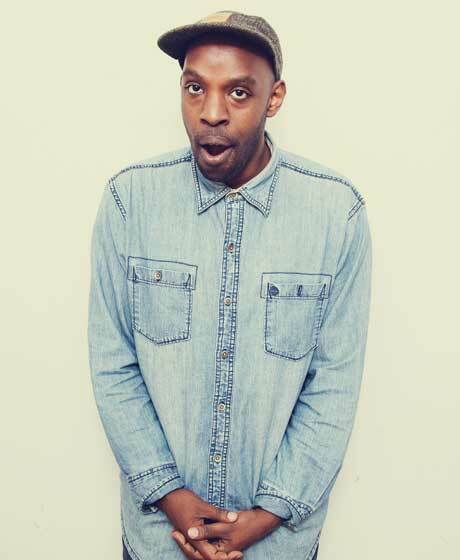 Kenyan-born, London, ON-reared, Vancouver-based rapper Shad is pushing past that ceiling with his fourth album Flying Colours. For a underground rapper, Shadrach Kabango has been modestly racking up the accolades. In 2010, his third album TSOL received his second nomination for the Polaris Music Prize (The Old Prince was also nominated in 2008), and won the Juno for Rap Recording of the Year in 2011. Earlier this year, Shad was selected as the second greatest Canadian rapper by the CBC, ahead of Drake and after Maestro; he also hosted the 2013 Polaris Music Prize Gala in September. On the eve of his Toronto listening party, Shad discussed his new album, underground hip-hop logistics and his most Canadian lyrics. When was the first time you recorded yourself? I was 18, 19... When I was 16, that was when you could burn CDs. Someone had their audio recording program and a little microphone. The equivalent of talking to your GarageBand. That was crazy at the time. I used to battle with friends. When did you first take it seriously? Probably second or third year. I just started writing things that weren't derivative anymore. When I was 16 and I would write stuff and it was like, "That was a really bad Common verse... that's a really bad Eminem verse." Then when I was 19, 20, it was like, "That's me telling my story." That's when it shifted for me. How did you feel about being ahead of Drake in CBC's "25 Greatest Canadian Rappers list"? It's always a bit of a funny thing to see, with all his success. But it's cool, it means that people really listen to what I'm doing 'cause I think if you're going to appreciate me in that kinda way, you're definitely listening closely. Has Drake's success opened doors for Canadian rap across the board or just Toronto? I don't know, Toronto is Toronto. It's so different from the rest of Canada. I think there's regional things too. Like Acadian rap, they speak Acadian French, English... that is not Toronto. That is New Brunswick! Do you feel any separation between artists who have reached beyond Canada can do, and what underground cats can do? That was something I always suspected was a thing and still think is a bit of a thing. But I think my whole career has been a surprise in that sense. I mean, I remember making The Old Prince and thinking there's a serious ceiling to how far this can go. And it exceeded my expectations. I toured two years ago with Macklemore in the States and we were playing to like 200 people in Philadelphia. What he was doing, which was very much in the vein of Atmosphere or something... yeah, it's linked to that but we've all seen him smash through. You never really know. I agree to some extent that there's a bit of a glass ceiling as far as underground hip-hop and who it might appeal to. But I've even been surprised thus far in my own career. I didn't think I'd ever have the reach I have now. Why does that ceiling exist? There's some reasons, some more fair than others. What I do, I guess, really isn't as broadly appealing as what some other people do. I think if you really appreciate what I do, you're listening a lot closer than people... it requires close listening, I guess, to see unique value in what I do. That's a kinda valid reason and the less valid reason is the kind of music I make has never been hugely supported by the industry. You'll still never hear me on the radio aside from CBC. There's reasons that make a lot of sense and there's reasons that are a bit unfortunate. Not trying to make you lose your grant money, but does that ever bother you? [laughs] Uh, no. Not really. I mean, like there are songs on this album that I think could appeal a bit more broadly and catch some radio support. That being said, I started out making this kind of music with realistic expectations, and they've been exceeded. I guess I've never expected much in terms of a getting a big push for the kind of music I make. I've always just been happy and grateful to still be here and have a career doing what I love. With the exception of a very small group of people, underground rap makes more money these days. Look at Atmosphere, Insane Clown Posse and Tech N9ne. Yeah, exactly. I think given the time I started in music and the kind of music that I was making, definitely the route that I went makes sense. And it's winning for, like, a lot of people. Exactly like you said, the vast majority of artists, if you can get in where you fit in and do it with a trimmed-down business model, then you're definitely in a better position. Do actual albums have a place in that model? Yes, I was actually thinking about that yesterday. The funny thing is, as much as album sales are on the decline, artists are actually putting more effort into their albums now. I don't know if it's because there is so much music out there that people feel the need to really make something great, or if it's just we came up in the era of albums and still have aspirations to make great albums. If you look at hip-hop, from My Beautiful Dark Twisted Fantasy 'til now, a lot of artists are aspiring to make really good albums. It's kinda funny in a period of declining album sales and singles being more the way to go. Flying Colours and TSOL both have thematic structure. Did you approach them with that in mind? Yeah, I think just growing up in the album era, that's still something I care about. And as a creative pursuit for just myself, that's something that interests me creatively. What do you see is the future of albums in hip-hop? I dunno, I think a lot of rap is getting a lot more experimental and adventurous and that's cool to see what albums might come out of that. The Black Hippy crew, the new kids in Chicago like Chance the Rapper and the stuff like that. I think people are trying to do more grand things with albums. This album is a lot more musically complex than past records. Why song suites? For the sake of trying to challenge myself and trying to do something that was kind of bigger and better. Just experimenting with some different ideas. There were a couple of opportunities to blend pieces of songs together, to extend songs and just try something different things. I was kind of looking for that opportunity to challenge myself and there were a couple opportunities that just made sense. I followed those and they turned out. How did the suite on "Progress" come about? The "American Pie" part was a big, long thing I wrote over several months and then we just started experimenting with the intro. The second half was a separate song, and just experimenting in the studio with [my engineer] connecting them over this one guitar chord with this added note. I liked how it pieced together and thematically I thought they fit too. So that was just experimenting in the studio and seeing how things fit together. I worked with Ian Koiter, he plays bass and keys with me live, he's like, instrumental, in the studio. So he helped me on the first half, as far as kinda getting it to work. Tell me about sequencing the album. I sat with the songs for a long time. I was lucky I got some space without one of those "We gotta rush this off to print tomorrow" kinda things. I got to sit with it a little bit and think about the arc of it in terms of the different feelings and ideas, and settle on a sequence that to me felt like it made the feeling I was going for... emotionally conveying the essence of what I was trying to say. Did you ever feel rushed? Yeah, but I tried to fight that as much as possible. Because I think really what interests me is trying to make something good. I do believe that people connect with stuff that's good. It's been like three years between albums. In the meantime, I got to do shorter projects that were fun and are something different but with the album, I tried to fight the urge to keep up. How do you approach doing the shorter projects like your recent mixtapes and EPs? The EPs have an opportunity to do something a little more loose and a little more raw, which I like doing. But when I'm making an album, I kinda feel a little responsibility to push myself in certain ways. The EPs I can [also] use whatever samples I want. How does "Fam Jam" play into the idea of Canada as a mosaic? I don't think there's ever been a rap song in this country that's really spoken to that aspect of Canadian experience, explicitly. Definitely it describes something we all know about our country, something a lot of us have lived. But I think it gives it a bit of depth, maybe, to that whole idea and fleshes out in a little more detail what that might look like. The third verse is my story, and the other verses go into a little more detail and give a little colour to that mosaic idea. Do you feel any pressure to tell your own story through that? With those kind of songs, I always try to connect it to something personal, just to make it real, make it come alive and be honest about my personal connection to the idea. So it's not just my thoughts on immigration... it's my thoughts on immigration because that's something important to me, that's part of who I am. Your aunt didn't air you out for putting her on "Fam Jam"? [laughs] No, she didn't, which is nice. I think she was probably pretty stoked. On this album and TSOL, you talk about labelling in hip-hop, especially the "conscious" tag. To a great extent, I'm totally fine with it. Like, if it's the "conscious rap" label and all that... it's fine. As a fan of music, I understand that's how we talk about music. That's how we understand music and communicate about it to one another. We put labels on, we put people in categories and make comparisons. I don't get mad because I know that's a thing that fans do. That's a thing I do as a fan. At the same time, I like that my music is a personal conversation to people, where there's some context there and I'm not started from ground zero. So I can have a verse like that [3rd] verse on "Stylin," where I'm speaking to something and my audience knows what I'm talking about. And that's a little different in terms of labels, that's less in the music fan kind of way, and more in the [way of], people are necessarily aware of what they're saying. I really try to write from the heart and just kinda see where I end up. Part of it for me is learning where I'm at too. With this album, I had a lot of space which was nice. My writing process was spaced out, I had time to think and work things out in my head and on paper. Like "Stylin," I wrote the first verse and recorded it in Toronto, then I was back in Vancouver for a couple weeks. I had time to sit and think about things. That's where I wrote the second or third verse. "Remember To Remember," there's four verses and I wrote them at all pretty different times. First verse was the first verse I wrote for the album, and the last verse was the last verse I wrote for the album. Do you have a favourite verse? I don't know. I like the long ones, like "Epilogue: Long Jawn", there's another verse like that in my career that's six or seven minutes. Just because I feel like that style gets closest to the core of who I am. I'm excited to get on the road and play these songs for fans that let me have a job and support what I do. And after that, we'll see how far this album reaches. I still like writing, recording and I hope to be doing that and getting better. Who are you planning to work with? Skratch Bastid, all the guys who are the core dudes I like working with. Ian Koiter, [DJ] T LO, and whoever might pop up. What is the most Canadian lyric you've ever written? Umm... I gotta few. On "Stylin" I'm talking about MPP, NDP... that's definitely up there. "She never hit College like the Danforth," that's definitely up there [laughs]. There's some obscure ones but those two are at the top. Watch Shad's Video for "The Stone Throwers (Gone in a Blink)"